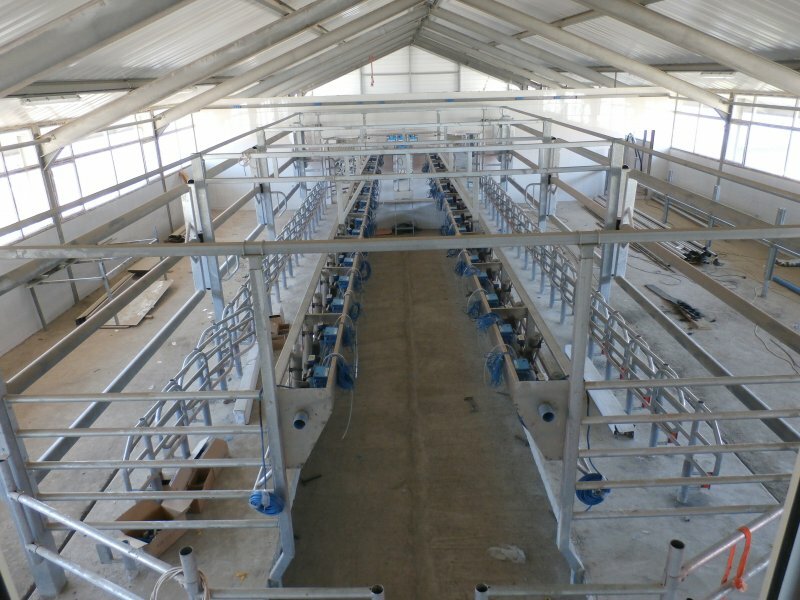 The dairy farm project consists of 2 dairy cow stables for totally 750 cows, a milk collection centre, a sun protection roof for the young stock up to 3 months and a young stock stable. The dairy cows can rest in modern laying places with comfortable rubber mats. 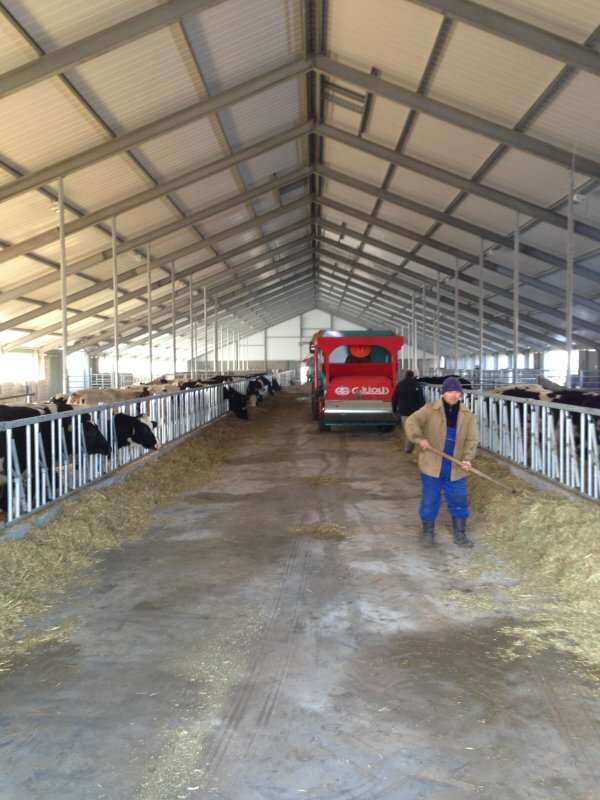 The dry- and fresh cows are housed on straw bedding as cows during these period are very sensitive. The farm layout is with outside paddocks (sand) where the cattle can go during summer time to reduce stress on legs and feet. 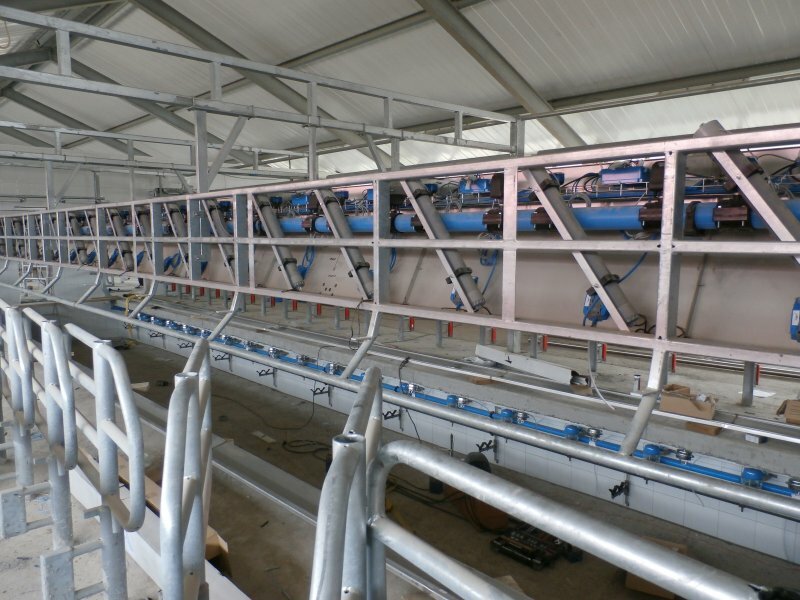 The milking parlour is a side by side 2 x 20 rapid exit milking with a capacity of approximately 200 cows per hour. The milking parlour is equipped with automatic identification and milk meters. Upon entering the milking parlour the cows are automatic identified and milk yields are automatic registered in the computerised management program. Cows that need to be inseminated or need treatment can be separated by a selection gate situated in the return alley from the milking parlour. Opposite to the milking parlour is the sun protection roof where the young stock is housed until an age of 3 months in individual calf hutches. Further there is a young stock stable for the young stock from 3-25 months. All stables, dairy cows- and young stock are connected by a manure cross channel. All manure produced in the stables is moved by a scraper system into the manure cross channels. In the manure cross channels the manure can be mixed and pumped towards the manure lagoons. Ventilation is a combination of ventilators that can be operational during the warm period in summertime and ventilation curtains that can be opened and closed according outside temperatures. During spring, winter and autumn time natural ventilation can be used in combination with the exhaust ventilation chimneys. The ventilation chimneys are equipped with valves that are operated automatic by sensors inside the stable.